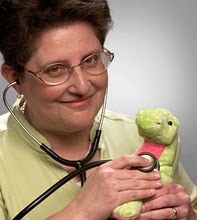 I really like reading the common sense essays of Pennsylvania physician Dr. Lucy Hornstein. She’s also the author of the book, Declarations of a Dinosaur: 10 Laws I’ve Learned as a Family Doctor. I like her writing mostly because I agree with almost everything she says. She’s brilliant, really. Last month, Dr. Lucy took aim at one of my own pet peeves: advertising for questionable health products that claim the benefits of such products are “clinically proven”. “But ‘some experts‘ also believe the moon landing was a hoax, the Holocaust never happened, and homeopathy is effective medicine. Somehow this colon cleansing stuff helps you preferentially lose belly fat. Not really sure what belly fat has to do with five to ten pounds of stuff spackled inside your intestine. But they’re not selling logic. Call right now for your free sample. Or not. “The word clinical is an adjective referring to ‘that which can be observed in or involves patients.’ It’s the hands-on part of medicine that can’t be replicated in a lab, nor taught from a book. “There is virtually no such thing as ‘proof‘ in the scientific sense. Laboratory and patient-based medical research can strongly suggest things. Scientific evidence can accumulate supporting things; the more the better, of course. This entry was posted in Lying for fun and profit, Marketing ethics and tagged clinically proven, Dr. Lucy Hornstein, health, medicine, miracle cures, misleading advertising, Musings of a Dinosaur by Carolyn Thomas. Bookmark the permalink. I AGREE with Dr. Lucy. You only have to browse the average health food store to see an avalanche of “clinically proven” miracle product claims. And consumers fall for them! Thanks for this reminder. I agree Maury. Supplements are big business. Big unregulated business. And to Donna: YES in fact all of us have widely benefited from pharmaceuticals if you’ve ever needed an antibiotic for infection or a pain drug for migraine or insulin for diabetes. So is “scientific evidence” similar to “clinically proven”? Seems I read somewhere that there is virtually no such thing as ‘proof’ in the scientific sense and medical research only suggests. Or did you forget you said that? Oh, and you forgot to tell everybody that the “scientific evidence” you refer to is funded by the pharmaceutical companies. (talk about conflict of interest…) Interestingly enough you suggest that people should talk to their doctor. I do talk to my doctor, my doctor is a naturopath. I know, I know, you think there’s only one kind of doctor. LOL Anyway, he says pharmaceutical drugs kill a lot of people. And that’s no conspiracy! It’s a fact. But whether a study is done by observation, or double blind placebo studies, none of them are perfect and even when they show a result … the REAL question is… how much of a result? The FDA approves a drug that is “more effective than a placebo” … with no regard for how much more effective it is. It can be LESS effective than one already on the market and still get approved. It can also be LESS SAFE than one on the market. In other words… just because something is “new” does NOT mean it is better. It simply means the pharmaceutical company got a new 20 year patent and higher profit margin. I pretty much stay away from drugs anyway. I stick to natural supplements and do a lot of research on them. My philosophy is… if I can see it can’t hurt me… and if there is evidence and studies that show it might help me… and it doesn’t cost too much money… I’ll try it for at least 3 months. If I read a study that 40% of people in a study seemed to get a benefit, I can use my judgement to determine if I want to pop the money to see if it works for me too. Our bodies are chemical factories run on electricity and fueled by the foods we eat, and supplements we take. Sometimes what works well for one person… doesn’t at all for someone else. It’s important we all be PROACTIVE and SKEPTICAL, yet not so close minded we miss opportunities. As far as the colon cleanse product goes though. I did read that most of us have a certain amount of undigested food in our gut. It contributes to cancer. So if the colon cleanse actually did help move things along (is it a lot of fiber or citrus pectin?) then I’m sure it has some benefit. I don’t think that people who eat properly and get good fiber really need to do things like that very often. As far as weight loss my guess is that it’s probably just less bloating and the loss of that undigested waste. I think companies should be allowed to make health REFERENCES … but only on their websites where they can link to the research done. Claims on labels are misleading …. did 4% get a benefit? 50%? It’s easy to fudge. How was the study conducted? Who was in it? Who did it? All things you can’t know from a label or advertisement. Hi Sue – it’s important to remember that these “natural” dietary supplements are part of an essentially UNREGULATED industry – and a very profitable industry indeed. As long as supplement makers do not promise to cure disease, they can make just about any claim they want. I look for evidence-based studies – not promotional claims meant to sell more product, whether it’s from Big Pharma or my local vitamin shop. For example, I’d be interested in the studies you mention that link undigested food in the bowel to cancer – can you send me a reference link? Agree with Maury .. “the average health food store has an avalanche of ‘clinically proven’ miracle product claims” I Will surely recommend this site to my friends. Thank you!